I spend a lot of time in Manchester, Adele (the girlfriend) is at MMU, and I love having the opportunity to take a couple of days off work, chill out, spoil her and drink beer. Adele loves beer. It's a win-win, and makes for a pretty darn good relationship. Only a few months old, Cane & Grain has quickly gained a reputation as a brilliant Craft Beer bar and Rib Joint. Also has one of my favourite American exports we're seeing more and more over here, Redhook Longhammer IPA is probably up there on my top 10 beers I discovered in 2014. The beer nuts were spicy, moreish and a great accompaniment to any beer. Food looks awesome. Unashamedly Hipster craft beer mecca. Student bars have a rep for cheap lager and £1 Jagerbombs. Not Font. 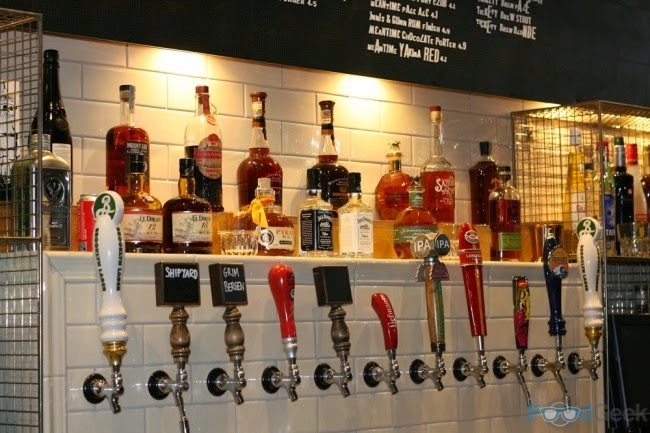 Font bars are well-run student pubs with a great focus on Craft Beer. You can't go wrong with one of their £3, £4 and £5 cocktails either, pretty decent for the price. Font bars also support local artists with installations and commission-pieces. Font bars are located in Chorlton, Fallowfield, New Wakefield Street, and there's one in Liverpool. From Scottish Punks to Trappist Monks is the formula at this Deansgate haunt. Pretty ugly from the outside, but don't let that put you off. This place gets proper busy at weekends, but the service is always fast and friendly. Their frequent stock of Magic Rock, Thornbridge and Marble beers get a double thumbs-up from me! Probably mine and Adele's favourite, this tiny Burton Road pub is in the lovely Didsbury suburb of Manchester. With stalwarts such as Brooklyn, Camden & Brewdog alongside stuff from local breweries such as First Chop (see below), Red Willow, and a good range of bottles and Bavarian exports. For us, however, it's the general ambience of this little place. Oddly decorated, always busy with a decent food offer, great special offers and a light-hearted Wednesday pub quiz. The cocktails are pretty decent too. 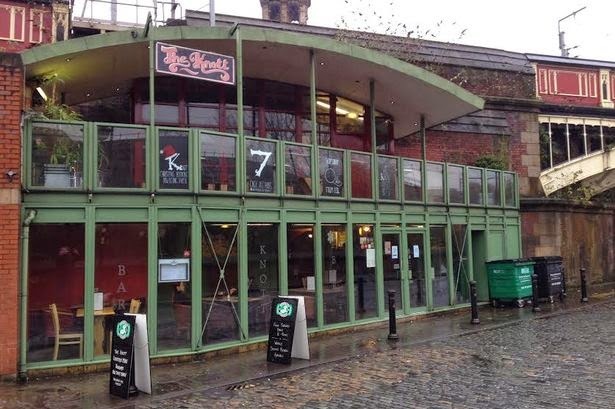 This brewery tap in Salford lies under a railway arch and in the past couple of years has become a destination for craft real ale enthusiasts. The beers are great, but the real winner for me is the Secret Garden and Reggae Sound System. Obviously, no list would be complete without a Brewdog bar on the list, however, if I didn't like it, it wouldn't be here. I love my nearest bar in Camden, but not keen on Shoreditch. 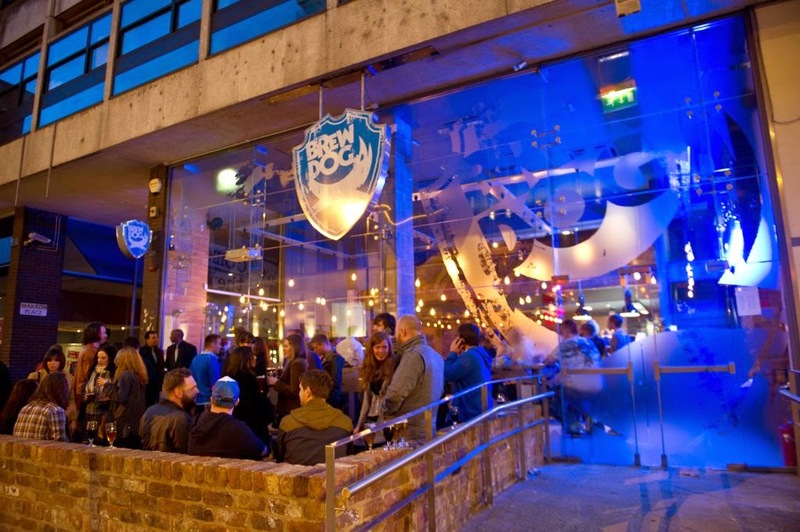 My favourite Brewdog bar, full stop, however, is this one in the heart of MCR. It's just more relaxed, more loungey, and less pretentious. The beer is always good, the selection of guests and bottles, and above all, the knowledge of the staff is second to none. A great place for a few beers before/after a MASSIVE burger over the road at Almost Famous, or a gig next door at the Albert Hall (a seriously good venue!). 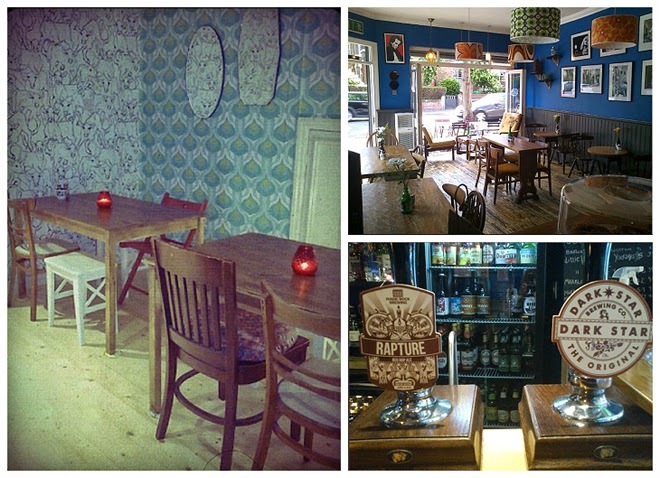 There are loads of brilliant bars and pubs in Manchester serving excellent Craft Beer. It's a bohemian paradise, with loads of independent brewhouses and bars, and just because I haven't listed one, doesn't mean I don't think its worthy, it's just these were the first 6 to come to mind. If you have any recommendations for me in the Central Manchester area, pop it in the comments section below!